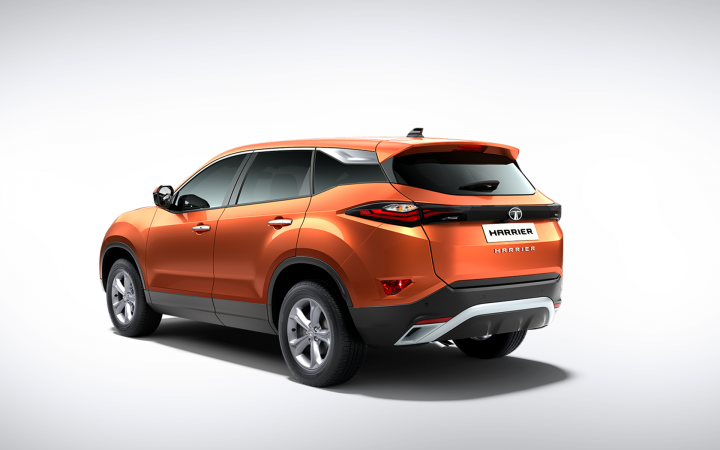 Tata Motors has updated its website with more information about the Tata Harrier. As per the brochure, the new SUV will be available in 4 variants - XE, XM, XT and XZ. Safety features like dual airbags, ABS with EBD and rear parking sensors will be offered as standard across all variants. The base XE variant comes with projector headlamps, DRLs with turn signals, power windows, power steering with tilt and telescopic adjustment, electric ORVMs, central locking and a perimeter alarm system. The XM variant gets Multi Drive Modes - Eco, City and Sport, 7-inch touchscreen infotainment system with 6 speakers, multi-function steering wheel, Follow Me Home Headlamps, front fog lamps, rear parking sensors with display on infotainment, rear wiper washer, remote central locking and 6-way adjustable driver seat. The XT variant comes equipped with 17-inch alloy wheels, automatic headlamps, rain sensing wipers and electric foldable ORVMs. It comes with a soft touch dashboard, 7-inch touchscreen infotainment with 8 speakers and Android Auto and Apple CarPlay connectivity, reverse parking camera, engine start/stop button, automatic climate control, cruise control, rear armrest with cup holders and 8-way adjustable driver seat. The top-spec XZ trim gets 60:40 split folding rear seat, shark fin antenna, Xenon HID projector headlamps, front fog lamps with cornering function, leather upholstery, leather wrapped steering wheel and door pads, ORVMs with logo projection, 8.8-inch touchscreen infotainment system with a JBL setup that includes an amplifier and 9 speakers. It gets a 7-inch colour TFT instrument cluster and Terrain Response Modes - Normal, Rough and Wet. The XZ variant also gets added safety equipment like 6 airbags, Electronic Stability Program (ESP), Hill Hold Control, Hill Descent Control, Roll Over Mitigation, Corner Stability Control, Electronic Traction Control, Brake Disc Wiping and ISOFIX child safety seat anchors. 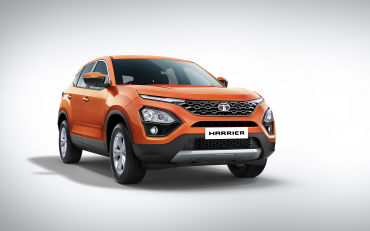 The Tata Harrier is based on the OMEGA platform derived from Land Rover's D8 architecture. It measures 4,598 mm in length, 1,894 mm in width and 1,706 mm in height. The SUV has a wheelbase of 2,741 mm and it offers a ground clearance of 205 mm. It has a 425-litre boot and the fuel tank capacity is 50 litres. The Harrier is powered by a 2.0-litre, 4-cylinder diesel engine that produces 138 BHP @ 3,750 rpm and 350 Nm of torque @ 1,750-2,500 rpm. The engine is mated to a 6-speed manual transmission. It will be offered in Calisto Copper, Ariel Silver, Thermisto Gold, Orcus White and Telesto Grey colour shades. The XE comes only in the white, while the XM doesn't get the copper colour option.